Borscht - A Russian or Polish soup made with beets and usually served with sour cream. Borscht Belt humor refers to the rapid-fire, often self-deprecating style common to many of (the) performers and writers. Borscht Belt, or Jewish Alps, is a colloquial term for the mostly defunct summer resorts of the Catskill Mountains in parts of Sullivan, Orange and Ulster counties in upstate New York that were a popular vacation spot for New York City Jews from the 1920s up to the 1960s. 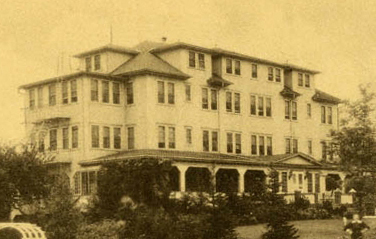 Borscht Belt hotels, bungalow colonies, summer camps, and קאָך-אַליינס kuchaleyns (a Yiddish name for self-catered boarding houses, literally, "cook-alones") were frequented by middle and working class Jewish New Yorkers, mostly Ashkenazi Jewish immigrants from Central and Eastern Europe and their children and grandchildren, particularly in the 1940s, 1950s, and 1960s. Because of this, the area was also nicknamed the Jewish Alps and "Solomon County" (a modification of Sullivan County), by many people who visited there. Well-known resorts of the area included Brickman's, Brown's, The Concord, Friar Tuck Inn, Gibber's, Gilbert's, Grossinger's, Granit, the Heiden Hotel, Irvington, Kutsher's Hotel and Country Club, the Nevele, The Laurels Hotel and Country Club, The Pines Resort, Raleigh, the Overlook, the Tamarack Lodge, Stevensville and the Windsor. 0 comments on "Grab that Borscht Belt, Next To The Suspenders"